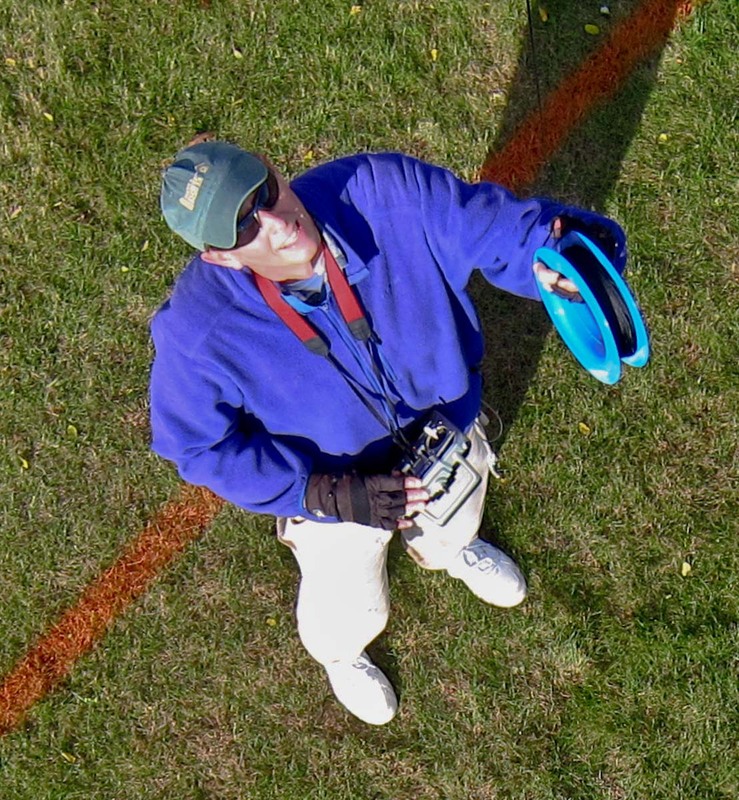 I had been thinking about this old image, but I did not examine it before I flew a camera under a nine foot delta kite from the Mt. Abe High School in October, and the resulting panorama is from a different vantage. But now I know where the kite has to be to repeat the old view, and I think it will be possible to do it. I will need the reel with 1500 feet of line, and a more reliable wind than I had last time (disaster was averted by a lucky zephyr that stopped the fall into a poplar). The best exploring of the panorama below is here. A lot of trees have been processed in Bristol. Huge stacks of forest products are stored on the floodplain in both the 1889 and 2012 views. The stacks by the New Haven River appear to be of processed lumber in 1889 and of raw logs in 2012. 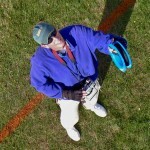 The Canon S95 captured 562 images during the 57 minute kite flight. Fourteen of the photos were stitched together in Microsoft ICE and two more were added in Photoshop. These 16 photos were taken within a three minute period along with 44 other photos. Hi Jason, That’s quite exciting — two kite photos made a century apart, each with an alternate view displaced by a century. Your 3D viewer is a great tool for that. I was confused at first because my kite photo of Bristol is taken from a very different vantage point than the old drawing appears to be. I was flying the kite from a place on the flat surface of the town that is just off the old 1889 image to the left. But now I see that the mountains in both images do line up. That means that George Norris drew the mountains while standing about where I was flying the kite (you can see that there were no trees there then, so the view would have been great). He then imagined what things would look like from above, but depicted the foreground as if he were suspended in the air way to the right in my kite photo (about where the rectangle is displayed for the fifth Gigapan snapshot). He didn’t make much effort to disguise that he was combining two perspectives, because back then nobody could check his work. He even fooled me. I never noticed that his mountains match the mountains in my photo. 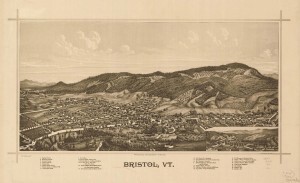 Mount Abraham, the distant peak to the right in both views, would not line up that way if you were in the air seeing the town as depicted in the old image. Very cool. Just a simple question : what is the code used in your WP blog to insert Gigapan panos ? Thnaks for your answer and have a nice day ! This is the type of code I use most of the time these days. Hi Chris, tks a loooooooot !!!! It works fine now !!! !